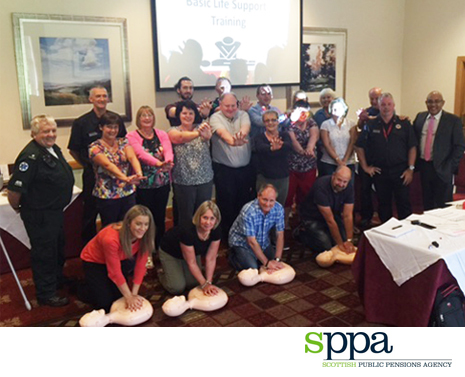 Members of the Scottish Public Pensions Authority (SPPA) have been learning a valuable lesson – how to save a life. Representatives from the Scottish Borders Community Action Team, Scottish Ambulance Service and firefighters from Innerleithen retained station gave CPR training to 315 SPPA staff members this week. Every year around 3,500 people suffer an out of hospital cardiac arrest in Scotland – but only one in 20 of them will survive to return home. When someone goes into cardiac arrest their heart is not pumping and every second counts. Performing immediate CPR can keep oxygen circulating around the body until medical professionals arrive and it only takes about half-an-hour to learn the technique. Local Area Liaison Officer Scott Forbes said: “Being able to perform emergency life support, a set of actions needed to keep someone alive until professional help arrives, gives a casualty the best possible chance of survival. The innovative partnership with the British Heart Foundation has equipped all 356 of Scotland's fire stations with Call Push Rescue training kits, to give communities right across the country the opportunity to learn life-saving skills.  “Through my work with the Scottish Public Pensions Agency, I arranged for all staff who were attending a Core Skills one day course to receive CPR training at the end of each course. “Members of the Scottish Borders Community Action Team and RDS personnel from Innerleithen in collaboration with the Scottish Ambulance Service delivered this training. An SPPA spokesperson said: “We are very grateful to the Scottish Fire & Rescue Service and Scottish Ambulance Service that attended our recent core skills staff events to deliver CPR training. This was extremely well received by our staff and has equipped them with a vitally important life skill they can take away and use, should the need ever arise to provide assistance in an emergency. The fire stations now act as a base for local people to learn these vital skills and potentially save someone's life if they go into cardiac arrest.